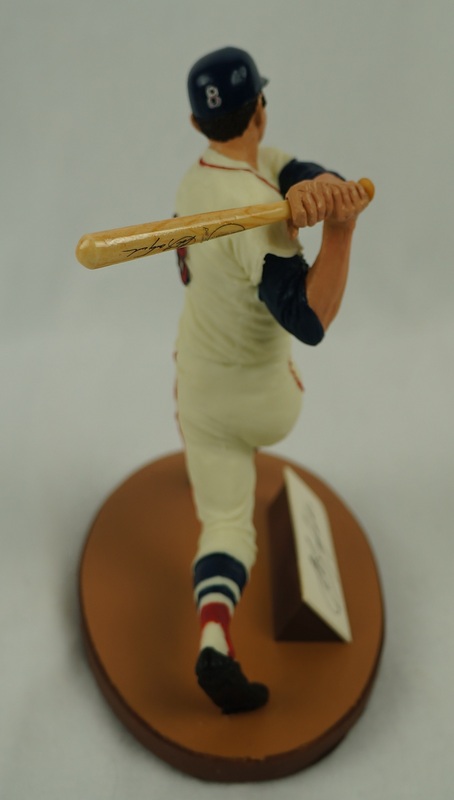 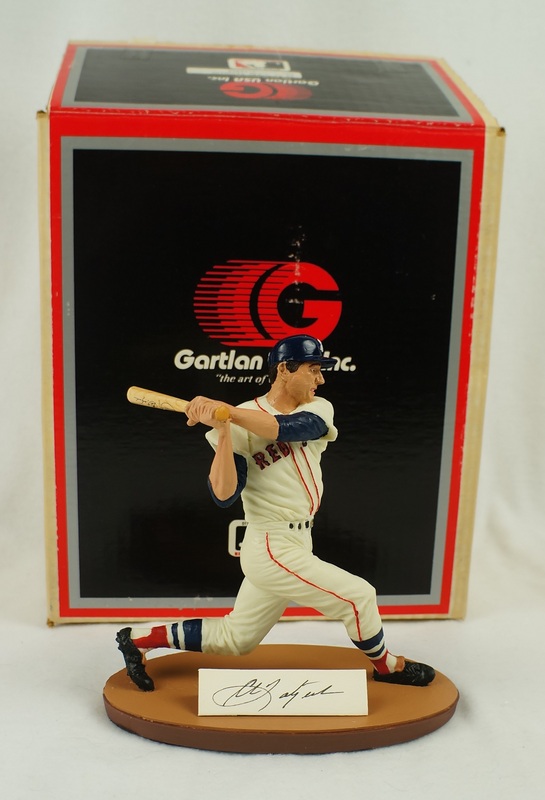 This lot features an extremely popular and highly collectible miniature Carl Yastrzemski autographed Gartlan figurine. This version depicts "Yaz" in his home white #8 uniform while in the midst of his swing. 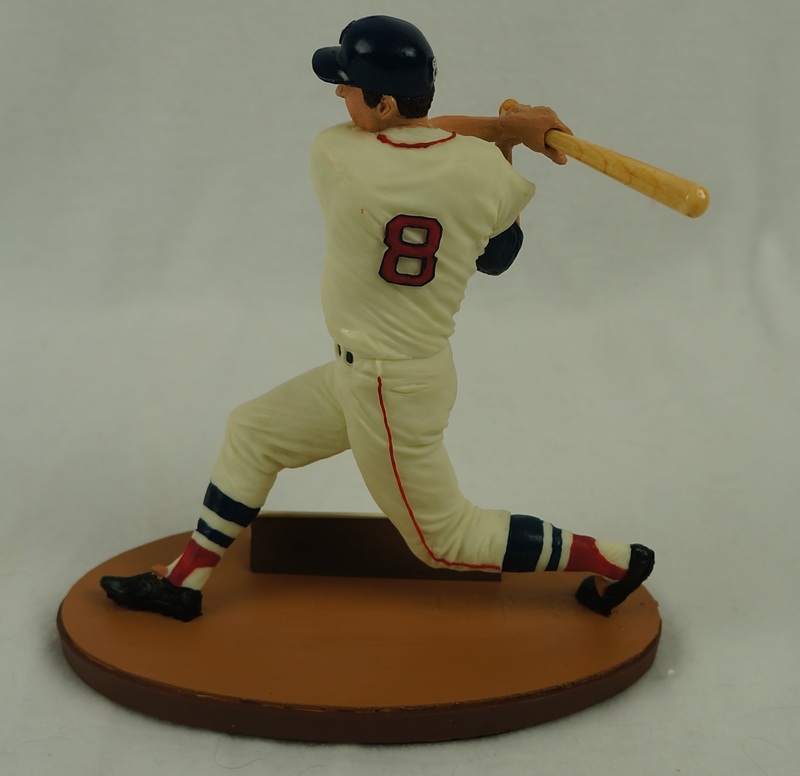 These coveted statues are made of porcelain and are intricate in their detail. 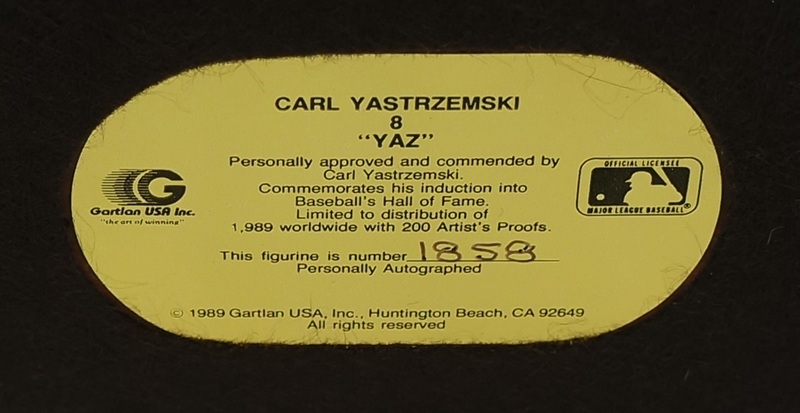 Limited Edition #1,858/1,989. 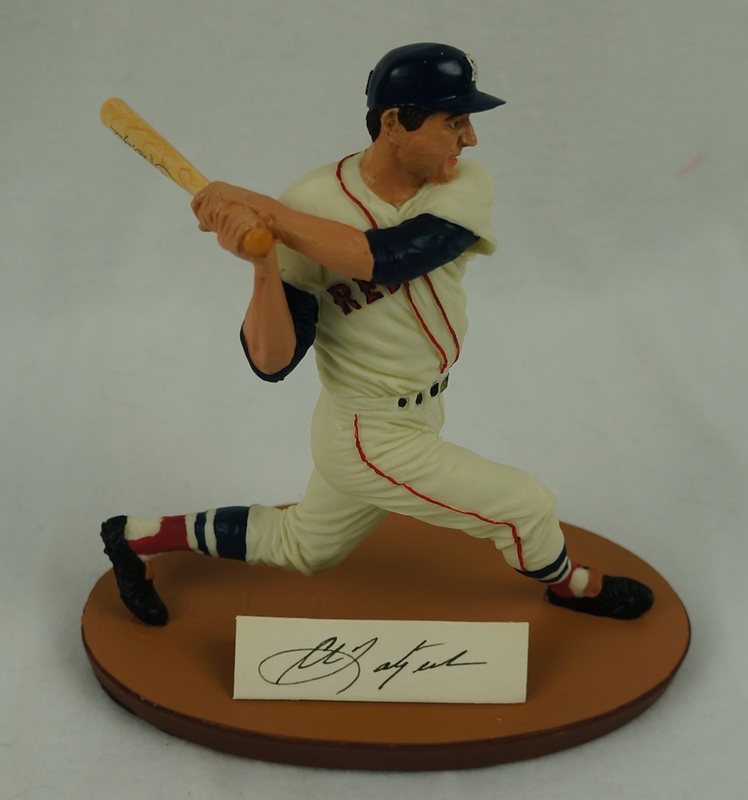 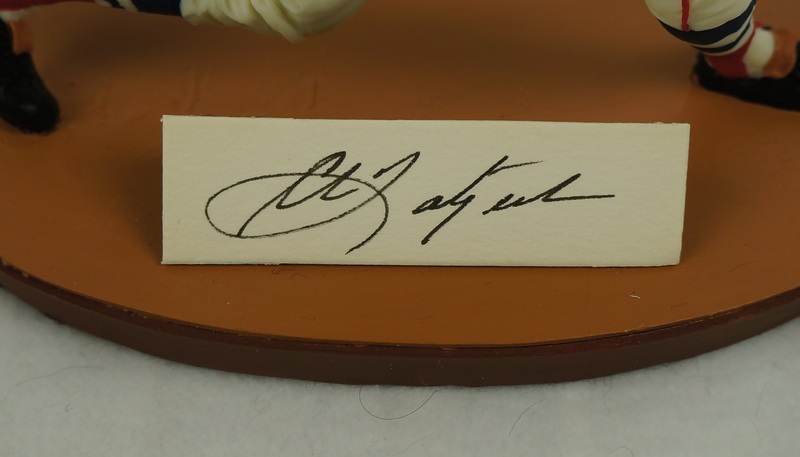 It sits on a wood base that holds a large and bold signature of Carl Yastrzemski. 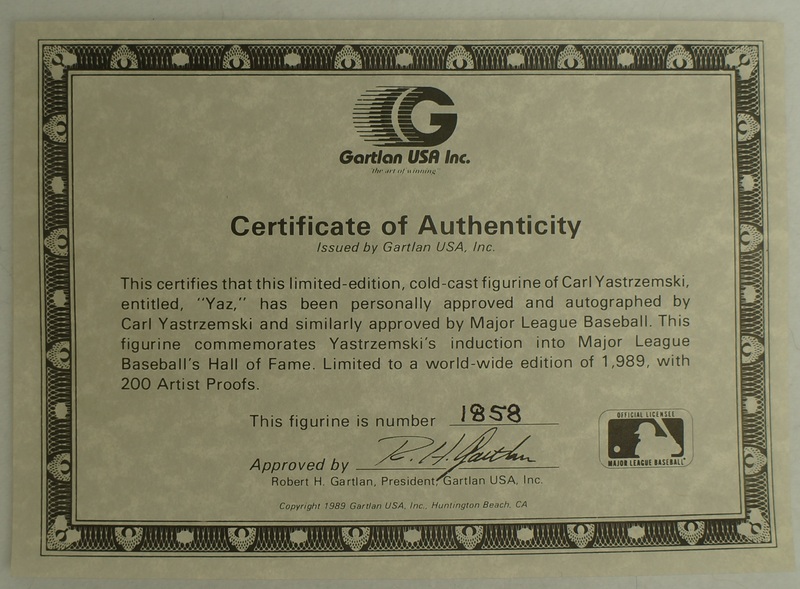 The original box, Gartlan certificate of authenticity and packaging are also included. Absolutely stunning display and conversation piece for any home or office.